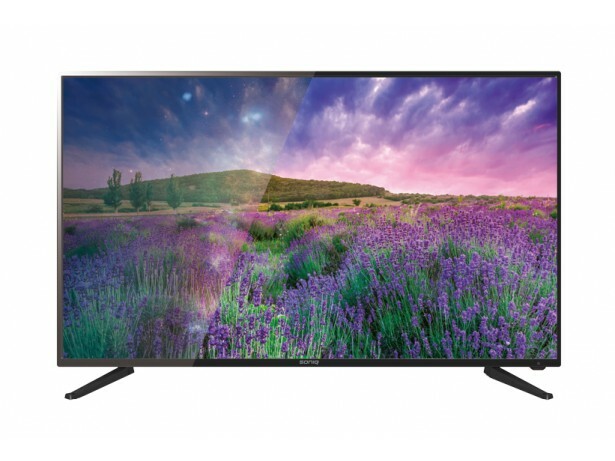 SONIQ S-Series 43" FULL HD LED LCD Web TV S43V15A-AU. Need a TV that is larger than a computer monitor, but doesn't quite have space for a 65-inch behemoth? No worries the SONIQ S-Series 43" is here to help. Just like Goldilocks likes her porridge just right, enjoy a TV that will suit whatever you need, be it in the study, lounge or man cave. All while still offering a fantastic viewing experience, what more could you ask? Watch TV, in the lounge, kitchen or bedroom! At 43 inches the SONIQ S-Series 43" is the perfect fit for anywhere in the house, office or man cave. As a main TV or supplementary, doesn't matter it does it all! Enjoy TV while cooking, cleaning or just in the comfort of your own bed. Experience more than expected with the provided Quad Core Mali-450 processor with anti-aliasing capability. See more with the super wide IPS FullHD 1920x1080 pixel LED Backlight Panel powered by an ACE-PROUC advanced colour engine for a more refreshing and brighter viewing experience. Connect to the SONIQ S-Series 43" with any of your devices through the 2x HDMI, 2x USB 2.0, Ethernet, or even RF port. All while being compliant and VESA wall mountable. With an inbuilt web browser, the S-Series 43" allows you to do some light online surfing. Connect your mouse and keyboard with the provided USB 2.0 inputs and browse away.